Glenn and Andi Paul are busy parents of two boys: 9-year-old Gavin and 13-year-old Luke. Time is precious, and smaller-town living allows more of it to be spent together. Although Andi grew up in Mitchell, Glenn is a native of Lead. 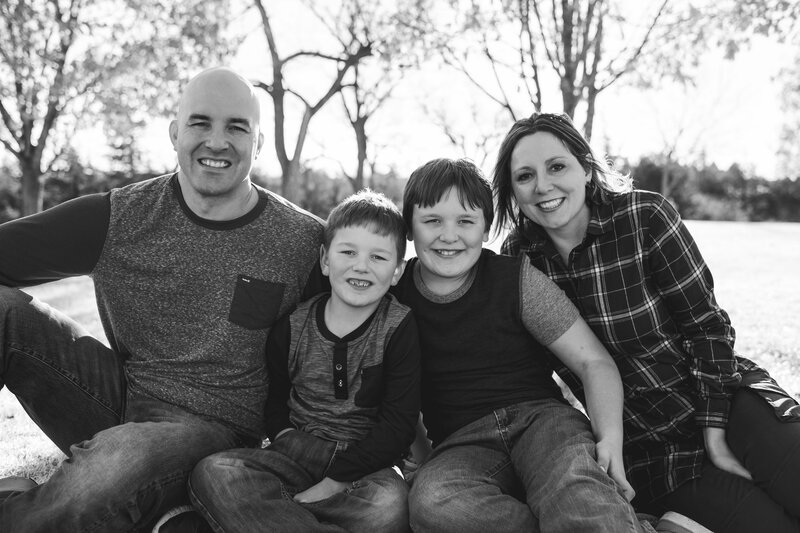 Andi graduated from Black Hills State University, and after she and Glenn were married, returned to school to earn her nursing degree from Dakota Wesleyan University. Glenn attended USD, then went to Southeast Technical Institute for a degree in network administration. The two met when they both worked at Citibank, but they eagerly moved to Mitchell when Glenn was hired to establish the laptop initiative at Mitchell Middle School. Andi decided to go back to school because the market for registered nurses is always strong. She says she appreciated the excellent faculty support at DWU and credits the program’s flexibility for making it possible for a nontraditional student with children to complete the program. She is now an operating room nurse at Avera Queen of Peace Hospital. She gets patients ready for surgical procedures, sets up equipment, handles monitoring and charting, and cares for patients in the recovery room. She is involved with a variety of procedures and physicians. “We are really fortunate in Mitchell to have outstanding doctors,” she said. For the past 12 years, Glenn has worked at Innovative Systems as a software support specialist. He assists rural telephone companies with their billing software and says his technical experience combined with his past customer service work are an asset to his job. Glenn travels for work occasionally. Like many young families, the Pauls find their lives revolve around their boys. Gavin likes to play hockey, read and learn new skills via YouTube. His parents say he’s a good fan for his older brother’s sports teams. Luke is an avid athlete; he plays hockey, baseball, football and golf, and he loves to fish and hunt. Being on a traveling baseball team means that the family is hustling him off to practice three nights a week and on the road most summer weekends. In addition to their boys’ activities, the Pauls golf – Glenn is in the Wild Oak golf league – and he and Andi belong to the CrossFit gym which is where you’ll find them early most mornings. When he was younger, Glenn hunted in this part of South Dakota. The Pauls say Mitchell is where they’ll stay because it’s a town that is big enough to have great schools, lots of kids’ activities plus higher education options, and small enough to be clean and safe and where a trip to the store for milk – or just about any other errand – doesn’t take up a lot of valuable time. Less time in the car and more time for fun and family is the right foundation for the Paul family’s Mitchell lifestyle.